When it comes to the Israeli-Palestinian conflict, supporters of Israel often feel under siege by an international community that spends much of its time and effort championing the cause of Palestinian self-determination. A significant amount of the rhetoric on behalf of Palestinians consists of criticizing Israel and, more specifically, accusing Israel of violating international law. Too often, I find that attempts to answer these criticisms fall short of achieving their intended purpose of defending Israel and swaying others’ opinions. Perhaps this is only true in the realm of Facebook. However, I do think that opinions expressed on Facebook often reflect the broader attempts by many to defend Israel in casual, every day life. And so I write this with the intent of summarizing the arguments that, to me, should be used in response to much of the anti-Israel criticism, specifically when it comes to the issue of occupation and settlements. 1) “Jews have a Biblical claim and right to Israel.” In case you haven’t noticed yet, many of the important players on the international stage don’t care at all about Biblical claims. And those who do are themselves convinced that their rights supersede our own. So when it comes to trying to convince other people of Israel’s rights, it really isn’t a good idea to invoke the Torah, God, or anything else along those lines. 3) “The U.S. mainland includes territory “occupied” by the U.S., so who are they to lecture Israel about occupation and settlement?” This is a wholly irrelevant argument. The arguments against Israel’s occupation and the settlements are based on the Fourth Geneva Conventions of 1949. So the fact that the U.S., or anyone else, occupies land that was conquered prior to that treaty doesn’t matter. At all. 4) “The U.N. constantly criticizes Israel while ignoring other, even more egregious, violations of international law.” While this is true, it misses the point. Do we really want to rely on saying that Israel is not the only bad actor out there? Of course not. And we don’t have to. This argument isn’t simply a naive denial of reality (although it probably is for many who just rely on the Biblical argument). The viable argument basically goes like this: the Fourth Geneva Convention does not apply to the territory of the West Bank, because there was no nation-state, including Jordan, that possessed legal title to the West Bank immediately prior to the Six Day War of 1967. Therefore, the West Bank could not be considered “the territory of a High Contracting Party” pursuant to Article 2 of the Convention (emphasis added). Furthermore, the League of Nations Palestine Mandate of 1922 set aside for the Jews the entire territory between the Mediterranean and the Jordan river (see https://en.wikipedia.org/wiki/International_law_and_Israeli_settlements). 2) Even if the West Bank is occupied, the occupation is legal. c) the parties to the conflict have yet to come to agreement about final borders. Therefore, Israel’s occupation of the West Bank was, and continues to be, lawful (see http://downloads.bbc.co.uk/bbctrust/assets/files/pdf/our_work/govs/lubell_law_report.pdf pp 12-14 and http://www.nytimes.com/2002/03/21/opinion/annan-s-careless-language.html). 3) The settlements in the West Bank are not illegal. Regardless of the legality of the occupation itself, the issue of settlements poses a separate question, assuming, again, that we concede the applicability of the Convention to the West Bank. The establishment of Israeli settlements in the West Bank is widely considered a violation of Article 49 of the Fourth Geneva Convention. Here it can be argued that “shall not deport or transfer parts of its own civilian population into the territory it occupies” refers only to forced transfer. Along these lines, a very recent article by Professor Eugene Kontorovich of Northwestern University School of Law aims to demonstrate that “transfer” should, in fact, be interpreted more narrowly than is generally accepted with regard to the Israeli-Palestinian conflict. At best, Professor Kontorovich proves his point; at worst, it seems, the article provides more evidence for the inexplicable double standard applied to Israel at the U.N.(see https://www.washingtonpost.com/news/volokh-conspiracy/wp/2016/09/12/new-research-paper-unsettled-a-global-study-of-settlements-in-occupied-territories/?utm_term=.81498b59059f). Consideration of this last point brings us back to the issue of the U.N.’s disproportionate obsession with Israel. True, the frustration with the U.N. on these grounds is legitimate, but the effectiveness of our argument in this case depends on how we frame it. It does not suffice to redirect the finger toward other countries whose illegal actions are routinely ignored. However, we can make a compelling argument that the blatant prejudice of the U.N. regarding Israel undermines the very authority of the U.N. to interpret the laws in question. In other words, the way in which the U.N. operates leads to serious and legitimate doubts regarding the prevailing interpretations of these laws, and suggests that those interpretations are guided not by law, but by politics. Therefore, the U.N. has lost credibility when it comes to interpreting the laws with respect to Israel. So the next time you hear people yell about Israel’s violations of international laws with regard to occupation and settlement, don’t respond with “but the Torah says” or “but Native Americans.” Rather, answer them with arguments to which they might actually listen. 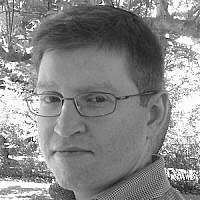 Shmuel Honig lives with his wife and two sons in suburban Philadelphia.